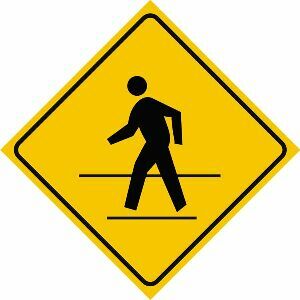 Alright, so I get it: Pedestrians in a crosswalk always have the right of way. But here’s my question … If the light for cars is green, and you’re crossing the street when, technically, I (or any other driver) have permission to drive without stopping, and it’s not like you started to cross when the light was still red, why can’t you walk just a little bit faster to get to the other side of the road? I’m not going to hit you (really), but come on. The light at this time is not in your favor. You’re just being a pain in the arse. Especially if you’re on your cell phone.